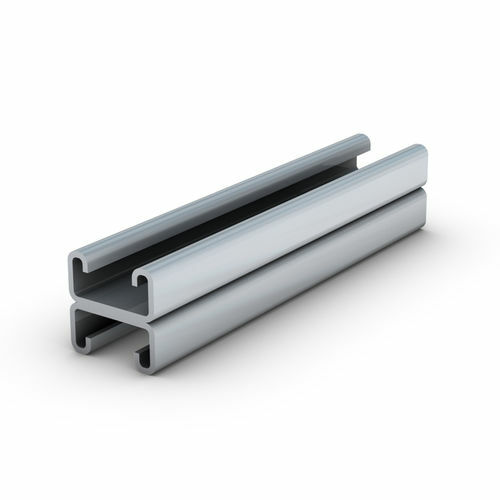 Steel with a Minimum yield strength 280 N/mm. Beams are assumed to be simply supported. Load and deflection are calculated using a safety factor of 1.6 and an allowable stress of 175 N/mm. Results given are for Pre-galvanized steel, Hot dipped galvanized will reduce the stress due to the heat treatment and reduce the loading in the chart by a factor of approx 18%. Beam loads are calculated from the column face and effective length in BS5950. The tables show: 1) The max safe working load, 2) the load to give 1/200 deflection 3) load to give 1/360 deflection - the deflection used will depend on the installation designer. This also applies to Point and UDL loads.